Register For EmployerLink Forgot Your Password? 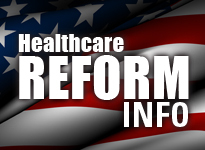 As required by the Affordable Care Act, employees must be notified at least 60 days before the effective date of a material modification if it impacts the contents of the SBC. Please be aware of this requirement when considering an off-renewal plan change or a change in carrier. When your employees are looking for a doctor, they can do it faster and easier with Medical Mutual's free mobile app. Your employees can also use their iPhone or Android devices to email or fax their ID card to their doctor and get directions to the nearest doctor, hospital or urgent care facility in our network. The app is available on iTunes or Google Play. If you've visited MedMutual.com or My Health Plan lately, you may have noticed something different. Our revamped websites now feature fresh graphics, layouts and content tailored for prospective customers, members, group officials, providers and brokers. The Employer section features purple navigation and includes four key sections: Why Choose Medical Mutual?, Plans & Products, Employer Resources and Healthcare Reform. You'll continue to have easy access to our employer portals from this section, too. Please note: Our subsidiary sites, such as ConsumersLife.com and CarolinaCarePlan.com, were integrated into MedMutual.com. However, ConsumersLifeInsurance.com will continue to serve as the online storefront for our life insurance products.